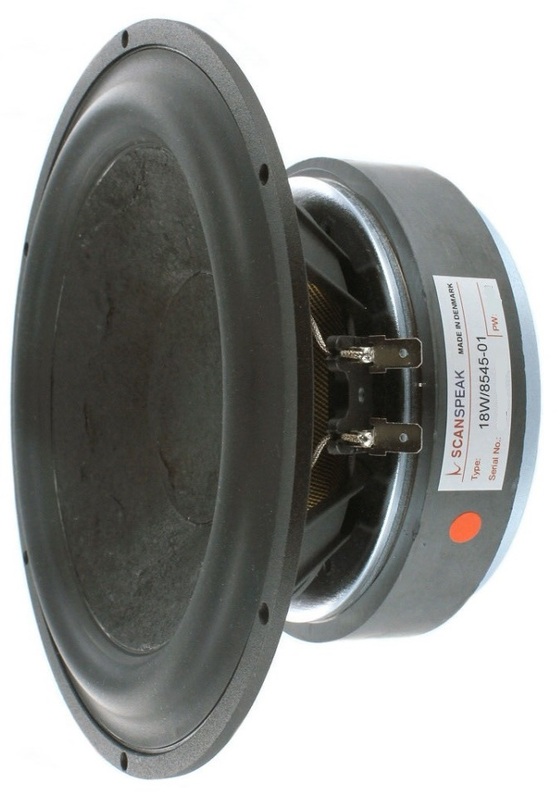 The 18W/8545-01 is an 8Ω mid-woofer from the ScanSpeak Classic series. The 18W/8545-01 is an improved version of the highly praised 18W/8545-00 midwoofer from the late 90ies. It has a new aluminum chassis, an updated cone and a new spider as wells as a few other details. These updates improves mechanical stability and the sound performance. It uses an air dried Paper/Carbon Fibre cone which is stiff, but without the associated severe cone break-ups of the usual stiff cone drivers. The patented SD-1 magnet system is designed to almost eliminate modulation and dynamic distortion, whilst the low loss linear suspension and rubber surround combines dynamic linearity and low colouration. The 42mm voice-coil has an aluminium voice-coil former. The 18W/8545-01 replaces the 18W/8545-00 version, which is about to be discontinued. Good consistency between the two tested driver unit samples. 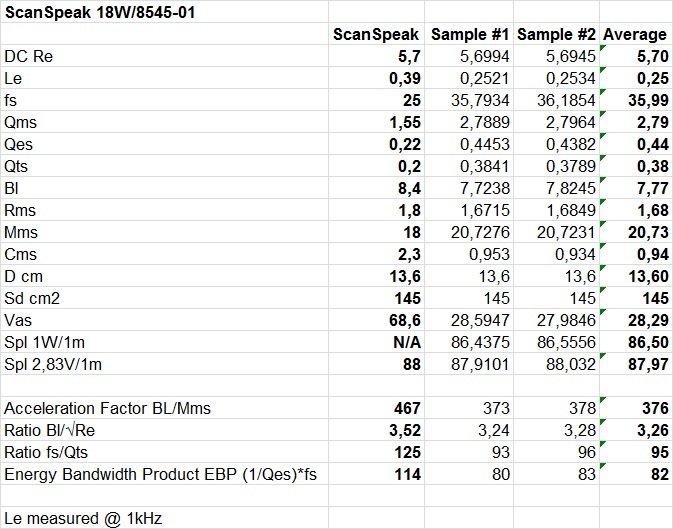 As often with ScanSpeak mid-woofers the offical specification is far off the true measured T/S parameters. It has about 40% higher resonace frequency than the Manufacturer specification. The two tested driver unit samples measures identical. The same small wrinkle around 900Hz can be seen in the impedance plot as in the old 18W/8545-00 mid-woofer version. Baffle size (WxH): 24×35cm with 18mm round-over on the baffle edges (r=18). Driver position: Mounted on center-line with driver unit center 22,4cm from the top of the baffle. The two mid-woofer samples measures virtually the same. The broad hump between 500 and 1000Hz is due to the effects of the test enclosure’s baffle step. The 18W/8545-01 mid-woofer has a slightly smoother frequency response than the old 18W/8545-00 version. The mid-woofer starts to roll-off at 2.5kHz and a good start for a x-over cross-over point would be somewhere around 1.8-2.2kHz. Overall this is a low distorting mid-woofer. 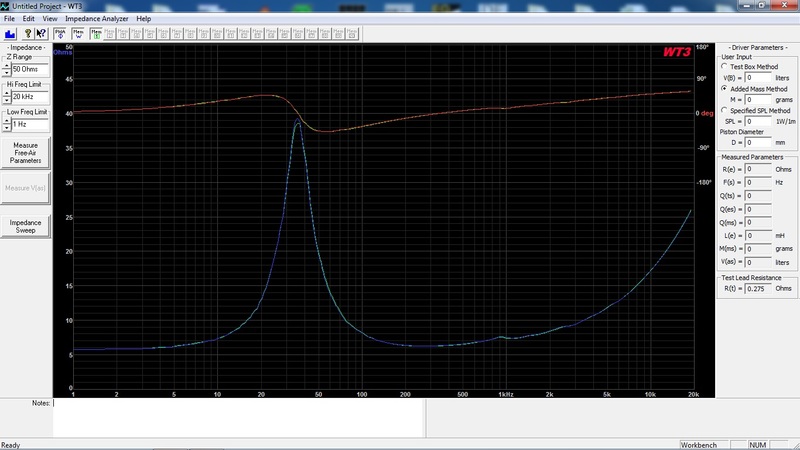 We have an elevated second-order harmonics between 0-7-1.5kHz, but the odd-order distortion profile is low throughout the frequency range. The 18W/8545-01 mid-woofer has a slightly lower distortion profile than the old 18W/8545-00 version and for such an old base design, this is a respectable performance and it can still compete with modern mid-woofer designs.